You can now set Windows 10 to receive incoming call notifications straight on desktop PC/laptop without needing to pick up your mobile phone. Starting from the latest Windows 10 Creators Update, Cortana gets a new functionality that once activated displays call notifications on Windows 10 PC. Here’s how to set up incoming call notifications on Windows 10. 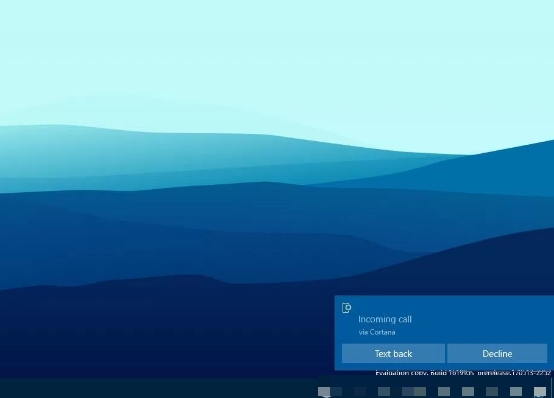 Cortana for Windows 10 now lets you see notifications of incoming phone calls on your desktop device. 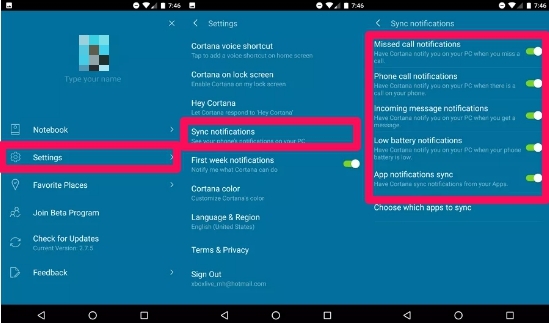 In the previous Anniversary Update, Cortana could be used to get text message, missed call notifications, and low battery notifications, but in the latest Creators Update, Microsoft has introduced a new Cortana feature that displays incoming call notifications across all your devices running Windows 10. But for now only Android users can access this new feature using the Cortana app on mobile devices. Sadly, iPhone users will have to wait a while before this capability comes with iOS support. Another thing to note is that this new call notification on Windows 10 only allows you to decline call or reply with text message by clicking on the respective option boxes on the notification. For now, there is no option to directly answer the call from desktop PC or laptop. Now let’s see the steps in the guide below to learn how you can get incoming call notifications from your Android device on your Windows 10 Desktop PC/Laptop, so that you never miss a call when mobile device isn’t with you while using computer. 1 – Download the Cortana app for Android from the play store and install it on your mobile device. Skip this if it’s already installed on your phone. 2 – Now, open Cortana Settings on your Android phone. 3 – Tap on Sync notifications. 4 – Here, you need to ensure that toggle switches next to all options are turned to ON position. Make sure Missed call notifications, Phone call notifications, Incoming message notifications, Low battery notifications, and App notifications sync options are enabled. 5 – Next, go to Settings on your Windows 10 device. 6 – Click on Cortana > Notifications. 7 – Enable the Send notifications between devices option by turning the toggle switch to ON position. Now when the next time someone calls you, a notification will pop up on your desktop device with options to either text reply or decline call without needing to pick up Android phone. But for this to work your Windows 10 device must be on Creators Update. If you don’t see this notification option in settings, this means your device hasn’t been upgraded to the Creators Update yet. So either manually update to the Creators Update or wait for the official update to arrive in your country or region.